Tears of Joy as Father decorates son with Gold at the 26th SEA games in Jakarta Click on pics for more Pics. The Day was Sunday, to many it was like a normal day. 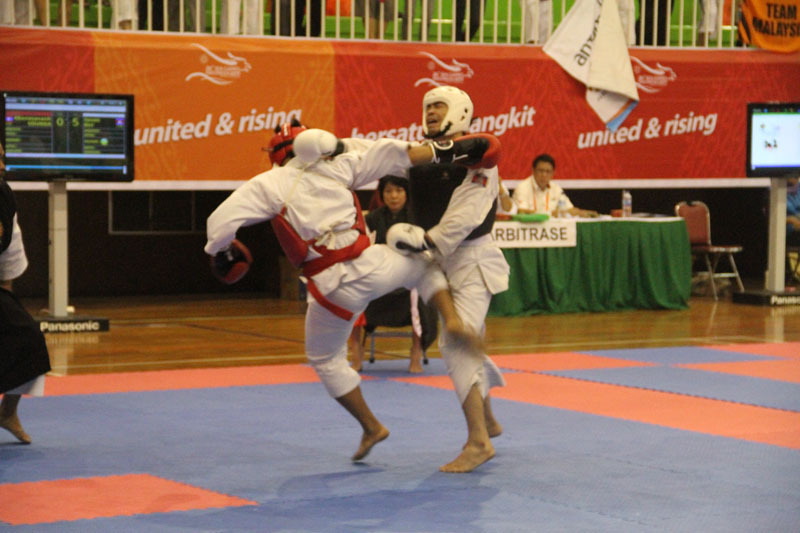 The date was 20-11-2011, not many people took note of it, but to one Sovan Kiry, Cambodia’s former Karate- do champion turned Shorinjo Kempo Athlete, it would turn out to be one of his most memorable days. It turned out to be a day Cambodia won her fourth Gold medal, a record since the Kingdom returned to the SEA games in 1995. “I am so happy, today is a remarkable day in my live” Says 26 year old Sovan Kiry moments after the epic encounter with Lao PDR’s Khonesavann Sounda. 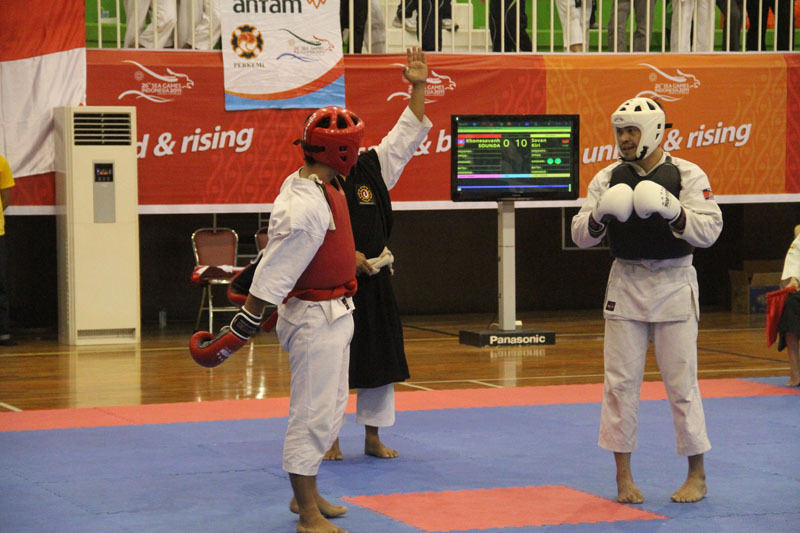 It was the last fight of the day, and indeed it was worth the wait for the nearly 3000 spectators that filled the Ciracas Sports hall in Jarkata with the Sports minister in Attendance. The fight, a 65 Kg Randorin Free Sparing started with Sovan Kiry on the white Corner while Khonesavann Sounda on the red corner. Both athletes being cautions and timing their every moves. Suddenly, it came to live as Sounda attacked and put Kiry on the defensive, but the Cambodia came out unscathed and no points was awarded. 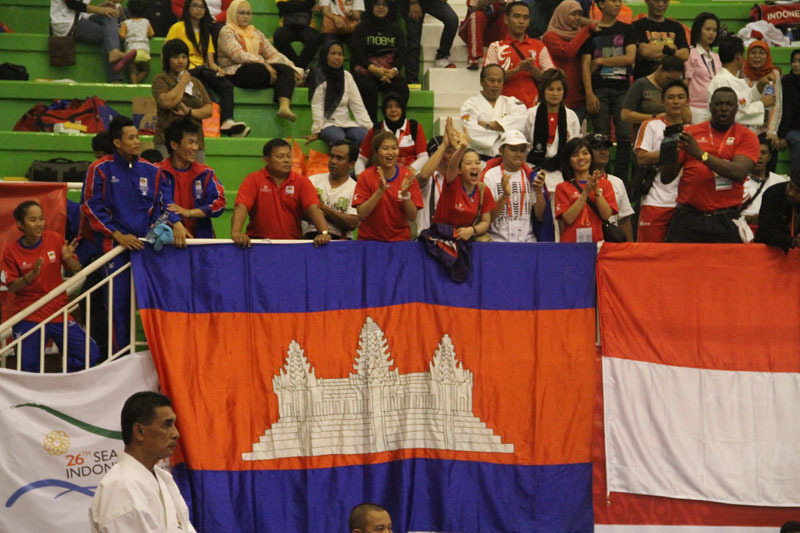 Kiry Attacked also but no points, with the Indonesian fans cheering every move of the Cambodian despite haven knocked out their man in the semi finals on Saturday. With less than 60 seconds to the end of the match still no points on either side, Sounda charged at Kiry who craftily dodged and a flurry of punches and kicks came flying, in the mist of it all, the judges waived their red and white flags in all direction, The center referee broke the fight, Kiry raised his hands in jubilation, and it may have conned the referee and judges as the point was awarded to Kiry, the referee indicating Sounda had kicked below the belt. The crowd chanted “ KIRY, CAMBODIA” as the fight resumed with the clock ticking away. All Sovan Kiry needed was to hang on to the solitary point and allow the clock to run down, Sounda knew he must give everything to get back at the Cambodian, he charged forward, Kiry dodged the punch and landed a blow on the charging Sounda, the referee stopped the fight, the judges raised their white flag and Kiry burst into a race and slid on his knees on the Mat, and when the announcer's voice echoed from the loud speaker “ AND THE WINNER IS SOVAN KIRY OF CAMBODIA” there was a thunderous roar from the fans. 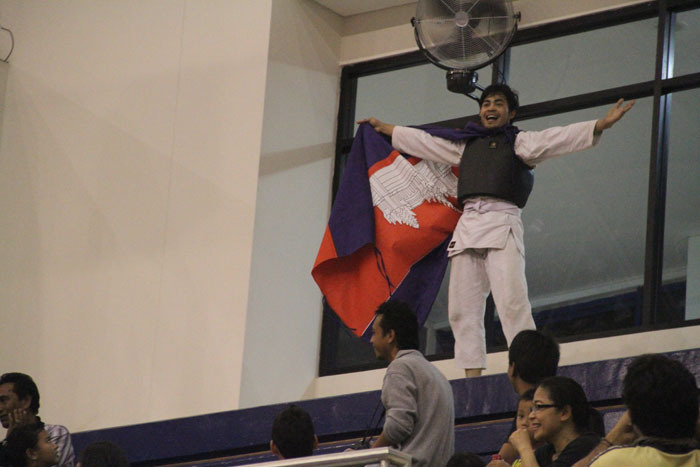 Kiry took the Cambodian flag and made a victory lap around the hall greeting the fans for their support. It was an historic moment of victory as Cambodia Increased its Gold Medal haul from 3 in 2009 to 4 in 2011. “I am happy for the victory, the results of the last two days made me disappointed, but today, I feel fulfilled” Says Coach Lach Chansovan. The coach who coincidentally is the President of the Shorinjo Kempo Federation of Cambodia has two other children in the team; Silver winner Sovan Rachana and bronze medlaist Sovan Ratanak was then invited to present the award to the winners. It was an emotional moment for Kiry as tears of joys dropped from his eyes when his father placed the gold medal on him, “ He is my father, He is My father” he shouted trying to inform the crowd his father is his coach. 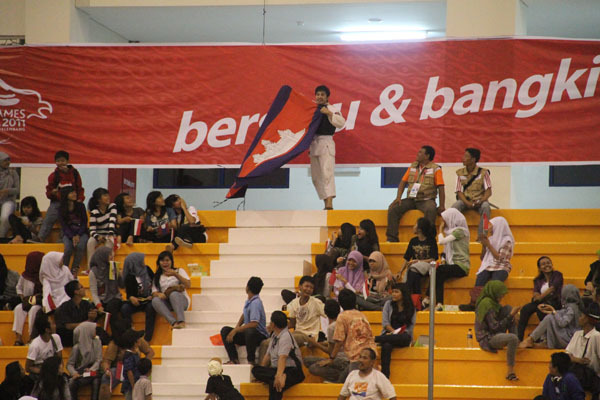 Cambodia’s flag was hoisted once again in this SEA games and the Noch Cho rea played on tape. Indeed, 20-11-2011 will remain an indelible day in Cambodia’s history and for Sovan Kiry.